In the main event, Ivan "Junito" Redkach (14-0, 12 KO's) continued to climb up the lightweight rankings, ousting Sergio Rivera (27-11-2, 17 KO's) at 2:06 of round one. 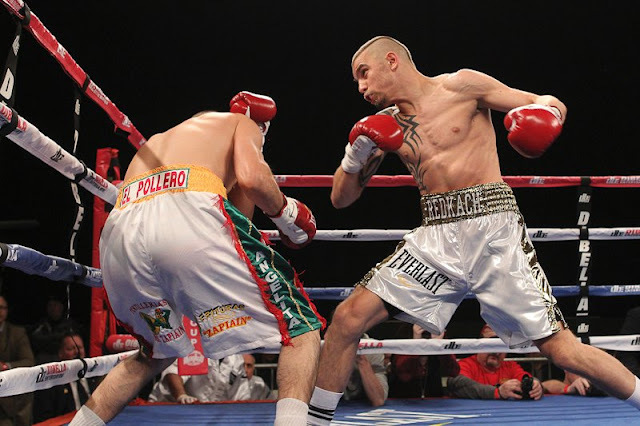 Redkach, 26, utilized a bone-crushing right jab, along with smashing right hooks and straight lefts to discard Rivera. Rivera, 31, could not compete with the superior power and hand speed Redkach displayed. A pulverizing overhand left sent Rivera to one knee in the corner on a delayed reaction. Rivera stood up at the referee's count of nine, but was in no shape to proceed. This fight marked Redkach's fourth in a row at Manhattan's famed Roseland Ballroom. 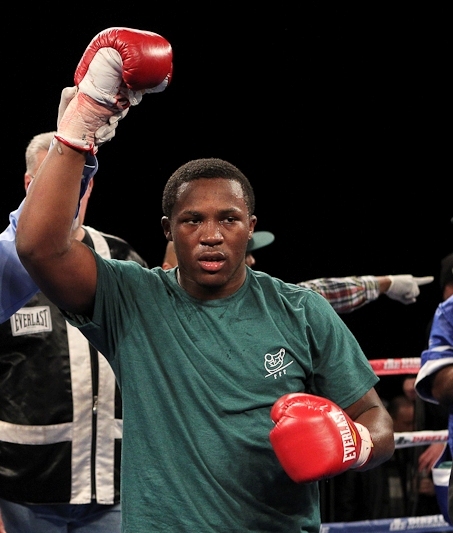 22-year-old Travis Peterkin (7-0, 4 KO's) scored a third-round technical knockout against an extremely durable Thomas Turner (3-3, 2 KO's) in an exciting light heavyweight bout. 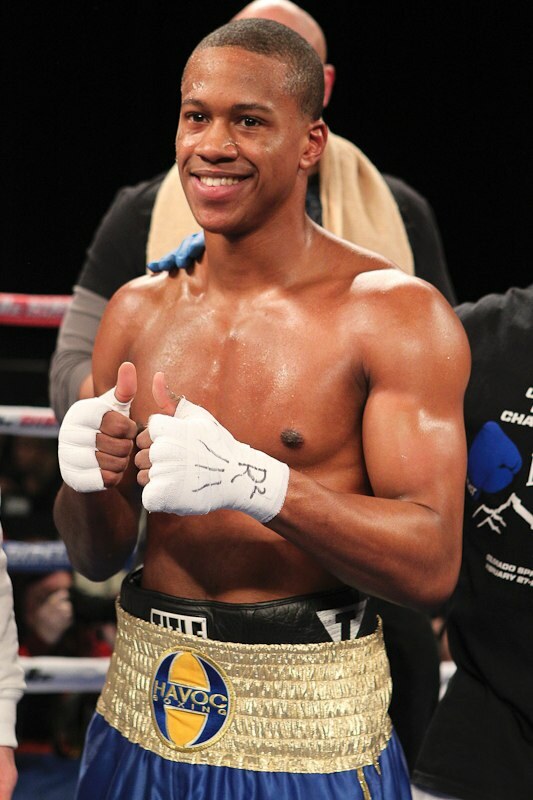 Peterkin battered the 25-year-old from Caldwell, Idaho for the entire three minutes of the first round. Turner was dazed several times in round two, suffering a bloody nose and massive swelling on the right side of his face. However, Peterkin could not knock him off his feet. Although Turner was eating a ton of leather, he stood his ground, throwing bombs right back at Peterkin. Peterkin, a southpaw, blistered Turner with straight lefts in succession during round three. Finally, Peterkin's punches wore down Turner, as he discharged countless right hooks and left crosses until the contest was halted. It was Peterkin's third consecutive fight at the Roseland Ballroom. 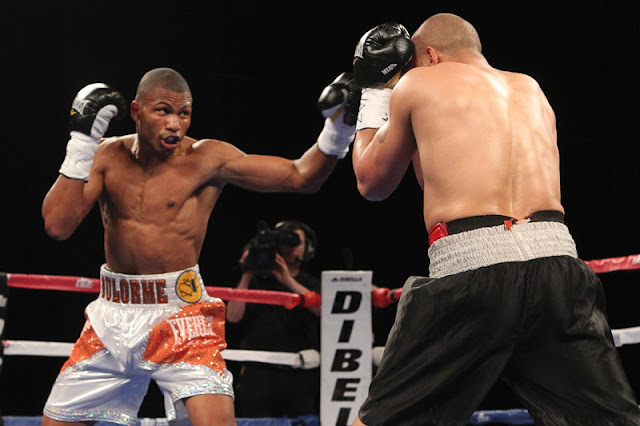 Thomas Dulorme (17-1, 13 KO's) returned to the ring with a superb first-round knockout win over Eddie Brooks (9-4, 3 KO's) in a light welterweight showdown. Dulorme, 23, missed with a big left hook in the early moments, but delivered a crushing right-hand shot seconds later to Brooks' jaw. Brooks, 28, fell instantly to the canvas and was seriously hurt. Time of the knockout was 1:35. This was Dulorme's first fight since sustaining his only loss at the hands of Carlos Abregu via TKO 7. It was the second time Brooks was kayoed in his professional career. Brooklyn's Keisher McLeod-Wells (6-2, 1 KO) captured a six-round unanimous decision over Jacqueline Park (1-1) by scores of 59-55 and 58-56 twice in a super flyweight bout. After a lackluster couple rounds, the action picked up in round three when Park stepped up her aggression and landed a booming right cross. Park continued to charge forward in rounds four and five, although round six clearly belonged to McLeod-Wells. As Park relentlessly pursued the knockout, McLeod-Wells bombarded her with sharp right crosses in close distance en route to victory. Light middleweight Patrick Day (2-0, 2 KO's) forced Dominique Foster (2-2-1) to quit on his stool after just one round. Day hammered Foster with a succession of thunderous overhand rights for the duration of the contest. Previously, Foster had won two straight. Manhattan's Louis Cruz (2-0, 2 KO's) upped his record, knocking out Desmond Brock (3-2, 2 KO's) at 1:12 of round three in a light welterweight match-up. Brock had a great deal of trouble getting his punches off before Cruz, and sustained a minor cut on the corner of his right eye in round one. 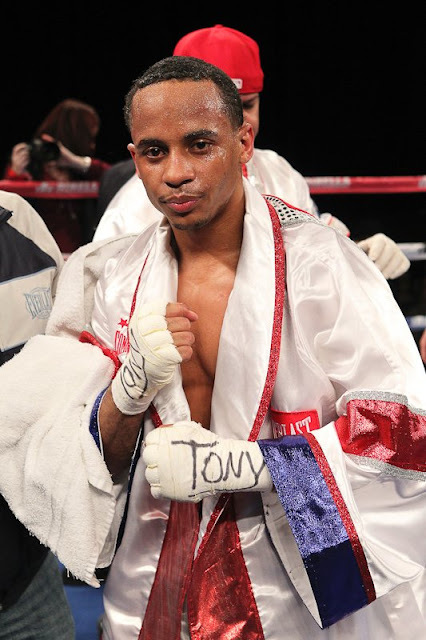 Cruz, a former New York Golden Gloves champion, executed well behind his timely left jab, striking his rugged opponent frequently in the second round. As both fighters unleashed fierce left hooks in the third round, Cruz's punch landed and left Brock on his back until the referee's count of six. After Brock rose to his feet, his legs were too shaky to continue the fight. Super featherweight prospect Neuky Santelises (4-0, 3 KO's) of Washington Heights, New York needed just :46 seconds to defeat Denis Madriz (0-1-1) of San Francisco, California. After tagging Madriz with a rock-solid overhand right in the opening seconds, Santelises followed up with a barrage of punches that sent him staggering to the ropes. Santelises never let Madriz free, peppering him with a series of hooks and crosses until the bout was quickly halted. 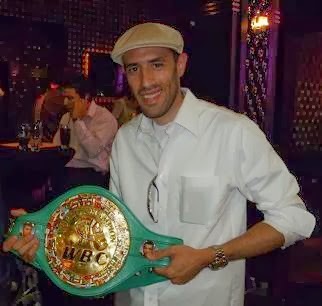 I greatly enjoyed looking through your blog and found an informative one for boxing related topics.